Happy birthday! I enjoy your writing style and substance. And thank YOU, Jennifer! Perfect, and shared around. I hope your whole country reads this, along with all of the first world. I hope it’s translated for the emerging capitalist economies. Now that climate change has hit the policy agenda of the electoral campaigning, I’ll join the 82% of Ozzies hoping Obama returns. (As you know I was so dismayed with his avoidance of this issue i could see no hope other than voting for Stein in spite of the risks. It really felt like, oh whatever, we are screwed. So all the best with your continued campaigning for a viable future for us all. And Happy Birthday – enjoy and be proud! Thank you, Angie! I am glad to hear from you this week, it had been a while! I have moments when I feel this way too, but for better or worse I have a sense of hope that won’t die, and as long as there is the possibility of change, I will continue to work for it. As for the Stein/Obama question, I still think a vote for Stein is a vote for Romney, and we can’t afford that, not at all. The Romney crew are truly frightening, Bush/Cheney on steroids. The 9th ward can’t really compare to all the states this hurricane hit. And Staten Island is by no means the ‘elite’ and the population is much larger then new orleans. I agree that this is a taste of things to come! 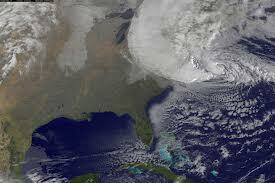 Warmer oceans create larger more powerful hurricanes. If anyone in NY or NJ etc. is suffering from effects of Hurricane Sandy and wishes to temporarily stay at our 3BR+ home in upstate NY,(Columbia County) contact me: xfiles34@aol.com This will be a needs-based prioritized offer and is meant to benefit the truly needy. Please repost this message anywhere that you think is appropriate! Hurricane Sandy did the planet a favor by hitting hard right at some of our most elite enclaves.Agree,this will spice up the presidential election and let people decide better. 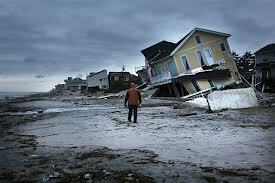 Like anywhere in the world facing climate disasters Hurricane Sandy hit the poor hardest. The rich went to hotels, have insurance, can afford to get in contractors or even rebuild. Meanwhile there were elderly people in housing projects with no heat and no electricity unable to walk down 20 flights of stairs to get food or water WEEKS after Sandy hit.